Back in July, we discussed the future of the Grand Theft Auto franchise after Take-Two’s blockbuster game was tagged with the “Adults-Only” rating. Since then, the company has been rushing to finish the revised version. On Oct 18, it released Grand Theft Auto: San Andreas Special Edition (rated M for "Mature") for Sony's PlayStation 2 -- with a couple of extras. Not those kind of extra, though. Shares of Take-Two Interactive are now attractively priced heading into the coming cycle of next-generation consoles. 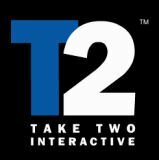 Earlier this week, Take-Two (NSDQ:TTWO) reduced its earnings expectations for the 3rd time in only 4 months. Take-Two said it had to decrease its guidance for this year and next because of issues including product delays. The company now says that it expects earnings for fiscal 2005 of between $0.53 and $0.56 per share, and sales between $1.18 billion and $1.19 billion. The company blamed a delay in shipments of Grand Theft Auto: Liberty City Stories for Sony's PlayStation Portable device in some European territories. The game won't hit the shelves in those areas until the first quarter of fiscal 2006, rather than the fourth quarter of FY 2005. Meanwhile, citing "expectations of a continued cautious U.S. retail environment through the holiday season, and the inherent uncertainty in forecasting the pace of manufacturer shipments and consumer adoption of new hardware platforms," Take-Two dragged down its guidance for FY 2006. Not surprisingly, 3 analysts downgraded shares of Take-Two on Tuesday. The stock now hovers just above its 52-week low of $16.92. We believe the market has overreacted to these recent blunders. Shares of Take-Two Interactive are now attractively priced heading into the next cycle of next-generation consoles. Microsoft’s Xbox 360 is slated for a Nov 22nd release, followed by new consoles from Sony & Nintendo in 2006. Although there could be a longer term negative impact on the Grand Theft Auto franchise, we believe the recent selloff was overblown. In fact, the publicity could further strengthen the cult status of the Grand Theft Auto franchise. Plus Take-Two is no one-hit wonder. We believe other key releases will drive results such as Manhunt, Max Payne 2: The Fall of Max Payne, Mafia, and Red Dead Revolver. very close to mine: 12-month target price of $24 for these volatile shares is based on discount-to-peers valuations of 1.3X price to sales and 1.2X enterprise value to sales.